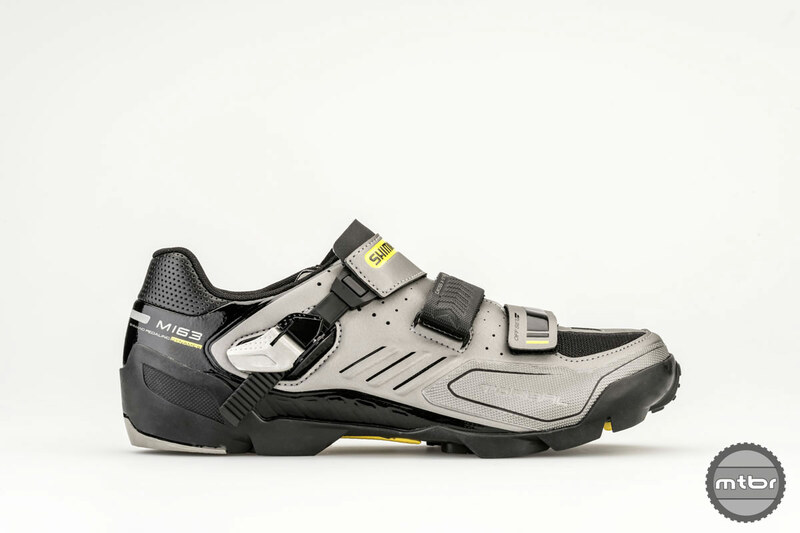 To commemorate 25 years of the SPD, Shimano is releasing a limited-edition shoe and pedal combination. In the world of mountain biking there is arguably no more easily recognizable three-letter combination. It stands for pedals, highly reliable pedals. 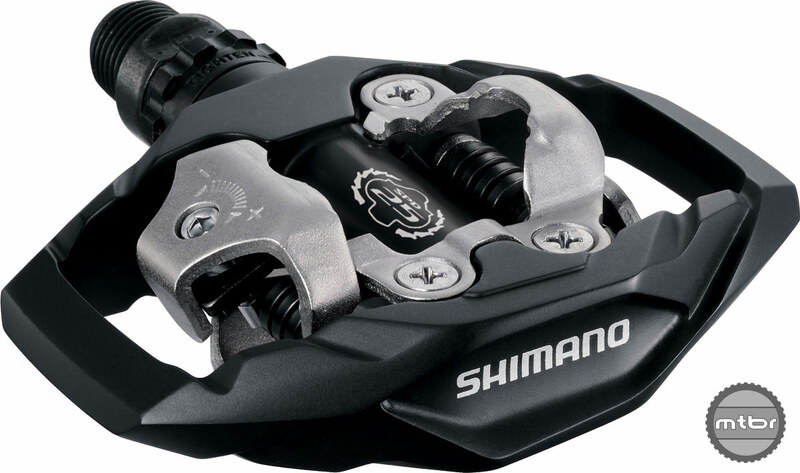 Indeed, for most of the last 25 years, “Shimano Pedaling Dynamics” have been the gold standard for attaching foot to bike. Sure there have been a few bumps in the road. But more often than not, since the initial introduction of the M737 pedal and the M100 shoe in 1990, SPDs have simply worked. No fuss, no muss. To commemorate this extended track record of success (and lack of product naming originality), the Japanese component manufacturing giant is releasing a limited-edition shoe and pedal combination, the PD-M530C (pedal) and SH-M163G (shoe). Like its predecessors, the new SLX-level SPD is a versatile, dual-sided pedal that’s equally at home racing cross-country, duking it out on a muddy cyclocross circuit, or ripping down technical singletrack. Claimed weight is 455 grams. This commemorative shoe/pedal combo will sell for $205 and be available in spring. 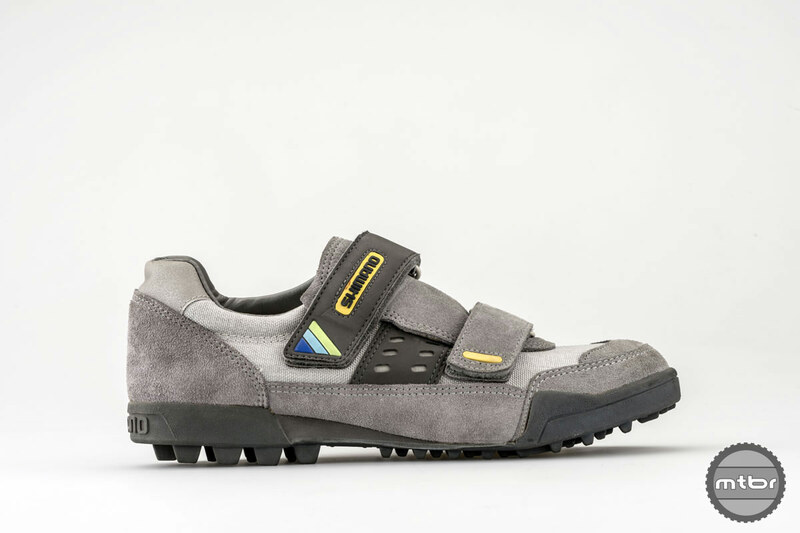 Meanwhile, the new multi-condition trail/enduro shoe features Shimano‘s cross x-strap to reduce top-of-foot hotspots, TORBAL mid-sole for greater control during challenging descents, and low-profile armor on the upper for added foot protection. Color is “limited edition grey.” Sizes run 38-48. Claimed weight for size 40 is 728 grams. Availability is slated for spring 2015. The combo will sell for $205, the same price as the in-line versions. For more information visit bike.shimano.com. The original Shimano MTB shoe from 1990. They may not be the only pedals out there, but it’s hard to argue with the long-term success. Boy do I like seeing this type of memorabilia, the picture of the “old” 1990 shoe is great! thanks for posting. The original shoe actually looks pretty modern! Dare I say….”enduro”! Holy kr*p! I’ve been riding that long?! As a testament to SPDs, I’m still running my second pair of M737’s! Was one of first locally to get them, wore out first pair. Granted the second pair doesn’t see much use now that I use a current model on my current ride. It seems kind of odd that they use “Mavic yellow” instead of “Shimano blue” for an anniversary edition. Also… totally boring.